Wounded veterans participated in a rigorous, three-day sailing course on the bay. SAN DIEGO — Wounded veterans took to the waters of San Diego Bay one week before the official start of summer to learn how to sail with physical limitations. A group of 21 wounded veterans took to the waters of San Diego Bay on June 13 and participated in a three-day sailing course. A partnership between Armed Services YMCA and San Diego Yacht Club brought these wounded veterans onto the water and sail despite their disabilities and injuries. The Warrior Sailing Program, according to organizers, aims to train veterans in the sport of sailing. Participants are offered basic training at no cost. Veterans hail from all branches of the military and suffer from injuries such as limb loss, Post Traumatic Stress Disorder and traumatic brain injuries, among others. Veterans train in teams of three and aboard a J-22 sailboat. Also on board is a professional coach. 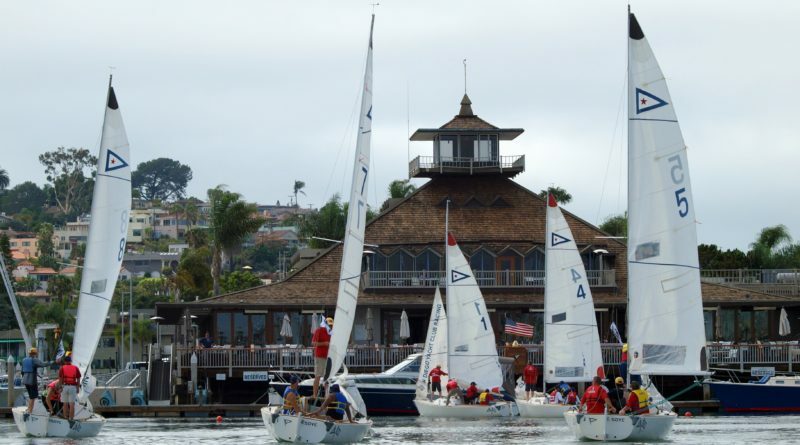 San Diego YC provides sailboats and other amenities. Training does not end at the end of the program, which was June 15. Each participating veteran, at the three-day sailing program, became eligible to continue training for a keelboat certification and advanced racing skills. Graduates would also be able to compete in racing events. The U.S. Merchant Marine Academy’s Sailing Foundation officially supports Warrior Sailing as a means to offer ill, injured and wounded veterans or service members with maritime education. New Jersey native and San Diego area resident Melissa Klotz joined the Warrior Sailing program in 2015 shortly after undergoing a total hip replacement. Klotz, who will be retiring from the Navy soon, heard about the program during treatment. Through her participation Klotz discovered her love of the water. Klotz added her sailing team won a race held on program’s final day. She added the program allowed her to meet other like-minded people and sail continuously ever since. A member of her sailing team discovered a love for boating through the program, Klotz, who will be attending graduate school for financial taxation planning, added. More information on the Warrior Sailing Program can be found online at warriorsailing.org.